We are proud to present the 15 people who will be graduating this April from their four year consultant training programs. 9 consultants-in-training (CITs) will become linguistic consultants, specializing in sign language. The other 6 will be translation consultants, focusing on Scripture accuracy. Please enjoy this photo gallery with snippets of each person’s work or experiences in the captions. 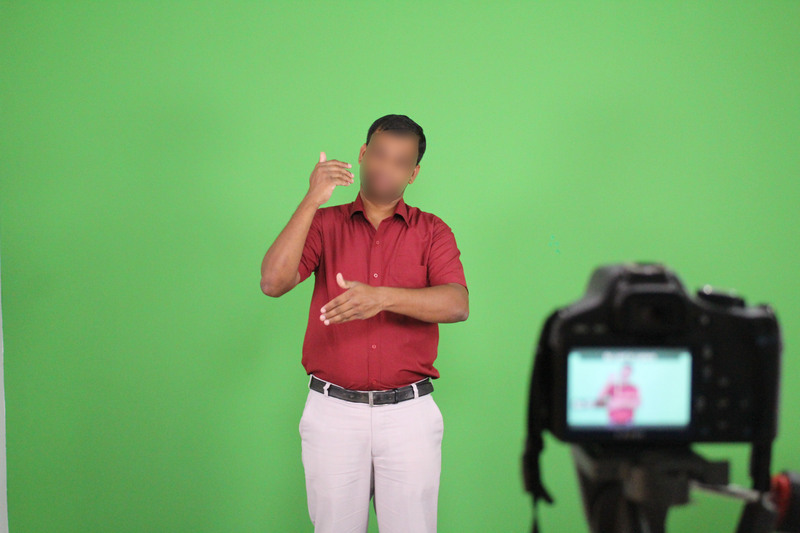 Vivek* does some work on a South Asian sign language project. 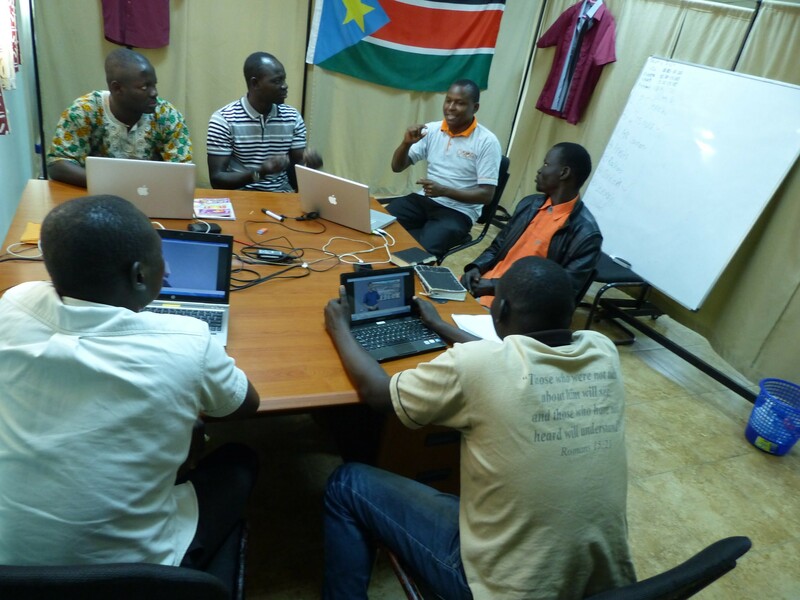 Jared was imprisoned for his work among the Deaf community in South Sudan. Akash* leads a camp for the Deaf people in South Asia. 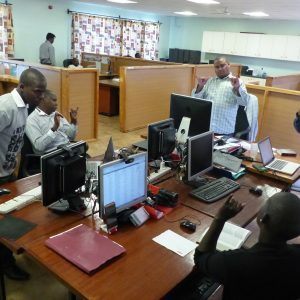 Stephen (corner in white polo) works with one of DOOR’s translation teams on sign language Scripture. 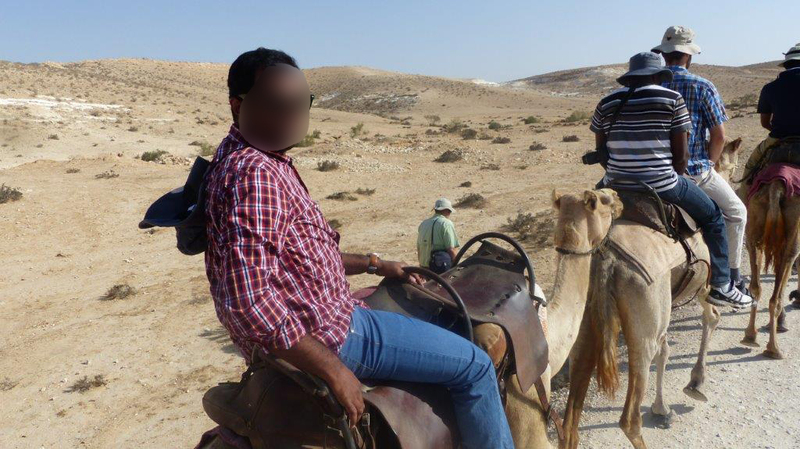 Ashish* studies in the Holy Land to make the sign language Scripture translations accurate and rich. Simon works on a project with other CITs as part of his 4 year internship. Mohit* discusses the outcomes of his learning with fellow CITs. 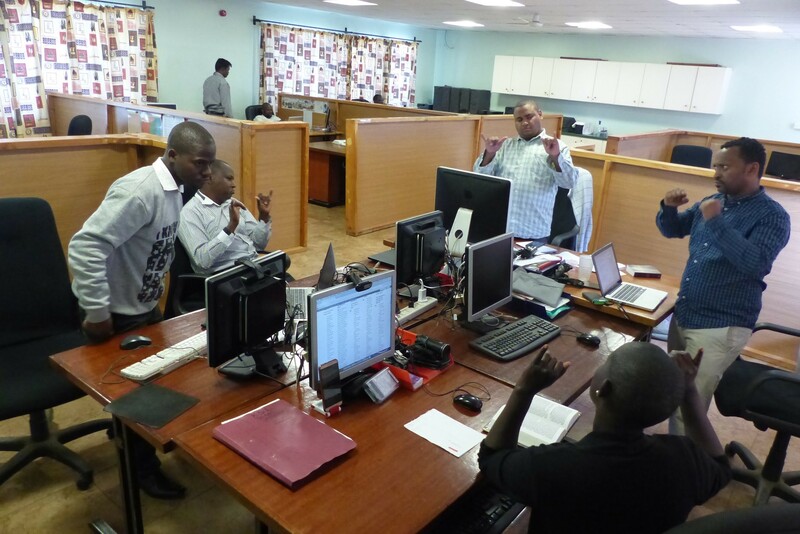 Tesfaye provides feedback and consultation to a sign language team working in the DOOR-Africa center. 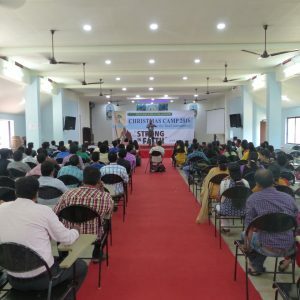 Aryan* teaches South Asian sign language translation teams about Bible backgrounds and concepts. 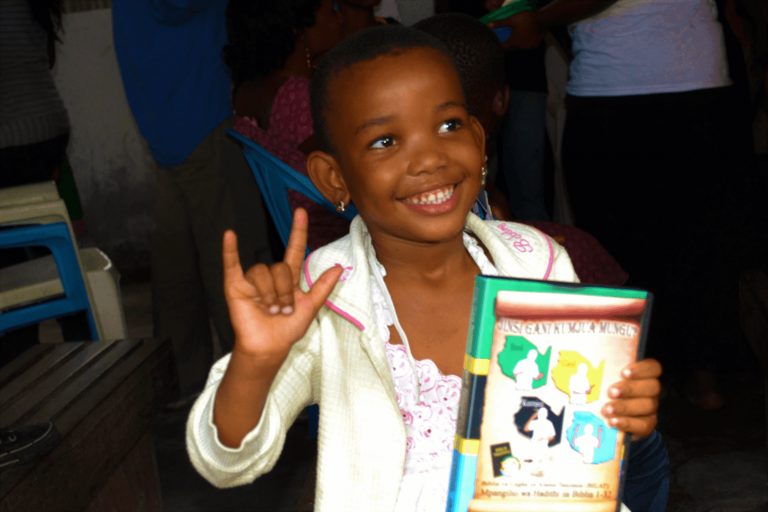 Luka facilitates a community test in Nigeria for Nigerian Sign Language scripture. 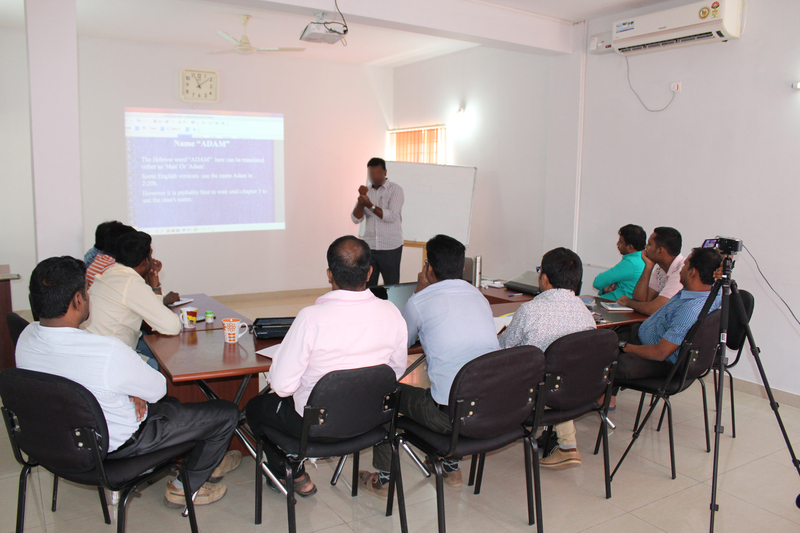 Vedant* trains fellow CITs in community testing methods. Benard (far right) often works with church planting teams. 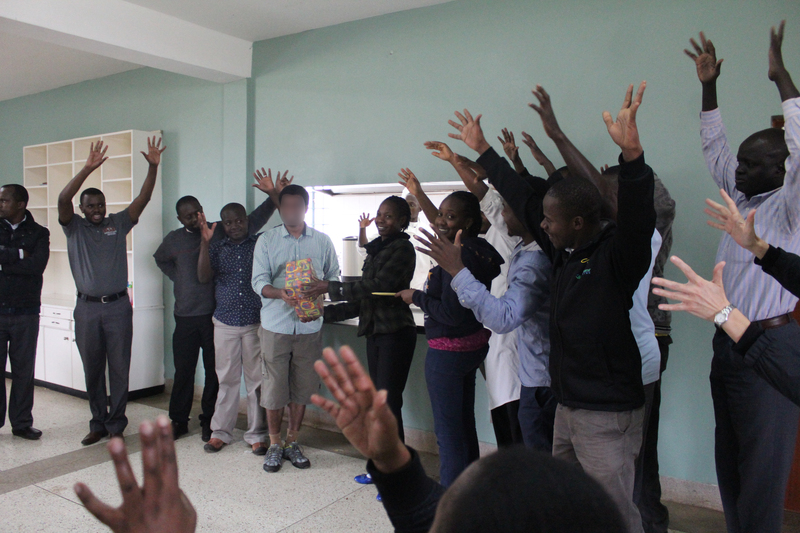 Pratik* receives a hearty farewell from the Kenyan staff before he departs to work in South Asia. 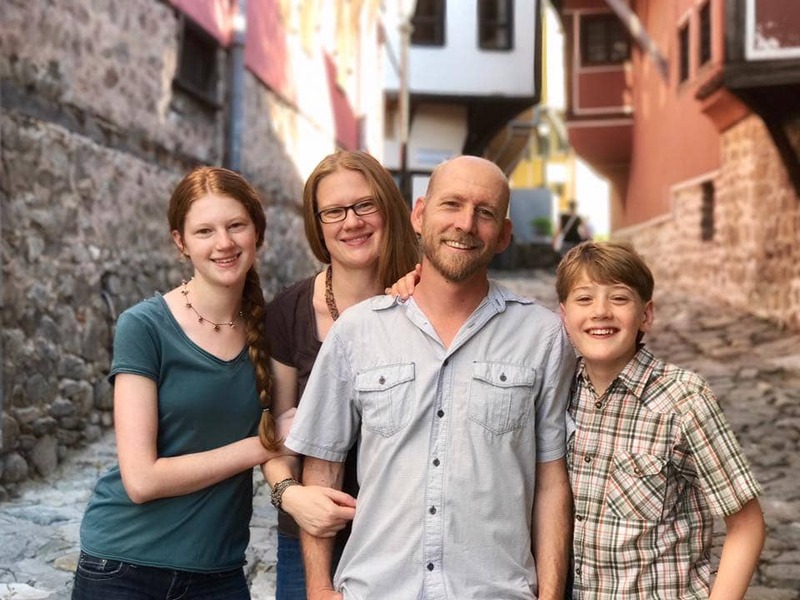 Josh (pictured with family) works with a sign language project in Eurasia. Rob was born in the Los Angeles, CA area to parents who were software engineers working on Voyager I and II. With mathematics in his blood, he studied physics, mathematics, and German as an undergraduate, and went on to earn a Masters and Ph.D. in Mathematics from the University of California – Berkeley. He worked as a professor of mathematics (and later Dean of Sciences) at Bethel College in Mishawaka, IN for ten years. It was at Bethel where Rob was first introduced to the Deaf community in 2005, and his life was forever changed. 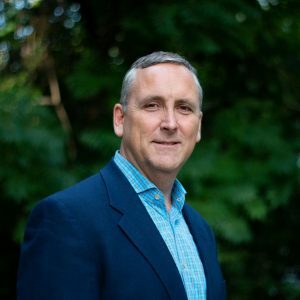 Rob now serves as President and Chief Executive Officer of DOOR International. His passion is to see the Deaf trained and empowered to lead a movement to make Christ known and lead other Deaf into a relationship with Him. 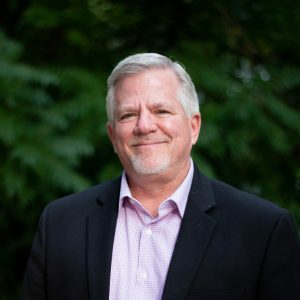 Rob supports DOOR through leadership in strategic planning, fundraising, partnership development, and program implementation in coordination with DOOR’s US board and DOOR’s International Leadership Team, a majority Deaf group responsible for establishing strategy and methodology. Rob is fluent in two sign languages (American Sign Language and Kenyan Sign Language) and conversant in three other sign languages. 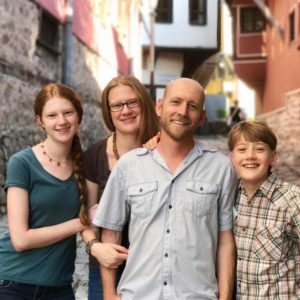 In addition to his interests in math, language, and ministry, Rob has worked as a semi-professional violinist and plays four other stringed instruments. He and his wife, Michelle, have four boys and live in the Grand Rapids, Michigan area. Chris and his wife Cathy have been married for 25 years and are members of The Summit Church in North Carolina. They have two children attending college in NC. He has explored the relationship between work and faith for much of his career, and is the author of the book Fruit at Work, which explains how we can be effective Christians in the workplace by practicing the Fruit of the Spirit. Chris has been an entrepreneur most of his life, starting with co-founding DaVinci Systems (the first developer of an email application for Windows) in college. He later started Accipiter, which pioneered the management of web-advertising. 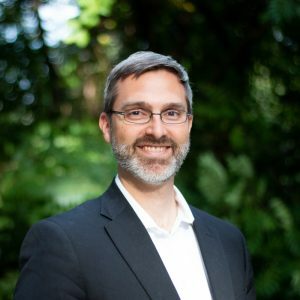 Chris currently serves as the executive chair of Tethis, which is making an alternative super-absorbent from renewable materials, which will allow companies to make much greener diapers and other products. 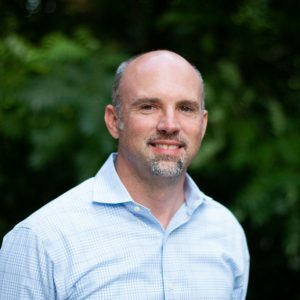 Chris also worked with many ministries and non-profits to help them get started or grow, including The Trinity Forum, Communities in Schools, Trinity Academy of Raleigh, Emanuel University in Romania, and the Blackstone Entrepreneur’s Network. Chris says that one of his favorite ministries to serve is DOOR, where he’s seeing a book-of-Acts-like expansion of the Gospel through communities that have been waiting 2000 years to have Scripture in their heart language! Amanda joined DOOR in November 2017 as a volunteer and was hired shortly thereafter. Her greatest passions in life are serving the great God, the Deaf community, and communicating in sign languages. Amanda is thrilled to have the privilege of working for a ministry that serves all three of these areas. 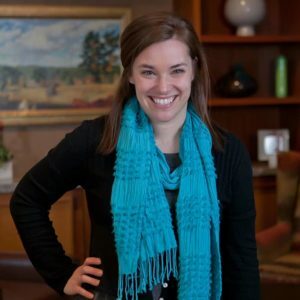 God placed this passion for sign language, and the Deaf community in Amanda’s heart at a young age, which lead her to study and become an American Sign Language interpreter. Amanda is an active member of a wonderful church that has helped her grow and expand in her walk with the Lord. She enjoys serving on the prayer and tech teams. Amanda and her husband, Chris, are the proud parents of twin girls. Brad joined DOOR International in August 2016 and serves as Development Officer. Prior to joining DOOR, Brad spent 13 years in banking and 4 years in financial planning before God made it clear He was steering Brad in a different direction. Through John Piper’s teaching on Romans 10 and a series of God ordained introductions to fellow believers, Brad felt called to make a more direct impact on the great commission at DOOR. Brad and his wife Tera have been married for 18 years and they are the grateful parents of 4 children. 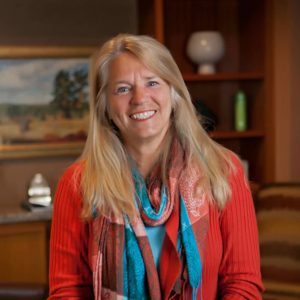 Dr. Kelli Schutte and her husband Kevin raised two children and have been involved in nonprofit work for all of their professional lives. 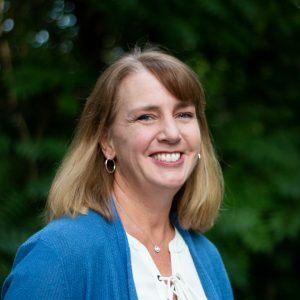 Kelli is a professor of management, human resources and organizational behavior. She published a book entitled Academic Women at Home and at Work. 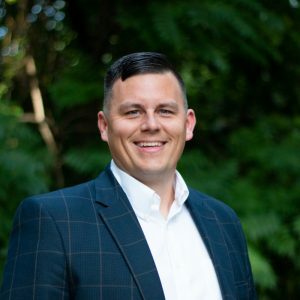 Dr. Schutte has also been a regular presenter at work/life and applied learning conferences as well as an active consultant in the area of organizational culture, policy development and employment law. 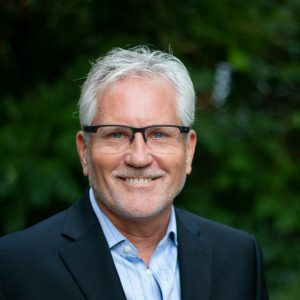 Bill’s quest to help grow the impact of nonprofits began in 1994 when he brought years of big agency and big brand experience to the table in co-founding Hanon McKendry – an advertising and branding firm that has dedicated over 50% of its work to helping causes and issues that advance humanity and human kindness. 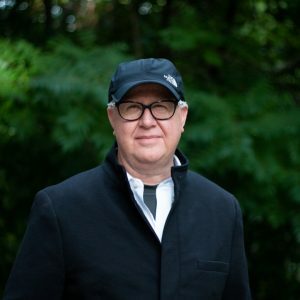 Since then, he and his team have created and implemented marketing campaigns and branding efforts for a diverse mix of regional, national and international resulting in over 900 award-winning programs. Bill’s desire to help DOOR springs from personal experience. One of his sisters and both parents were born deaf. Another sister (hearing) teaches the deaf, and his oldest son was born deaf but hears with the help of a cochlear implant. Bill is also deaf in one ear, and sign language was his first language. 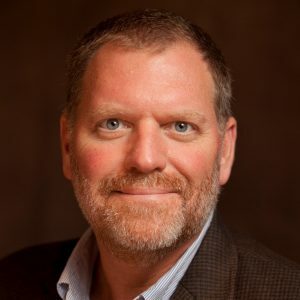 Chip Sanders has served as Global Director of Language Program Services for SIL. 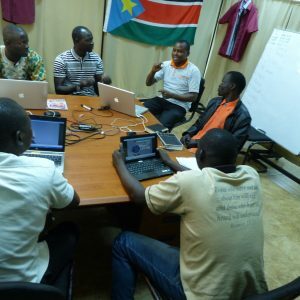 SIL serves language communities worldwide, building their capacity for sustainable language development, by means of research, translation, training and materials development. Chip and his wife, Kathy, have served with SIL since 1997. Until 2007, they lived in the Philippines and worked with SIL in southeast Asia, where Chip served as academic resources coordinator, language programs manager, regional director, and academic director. Prior to joining SIL, Chip worked for 16 years in the chemical industry, where he applied his degree in chemistry. During that time, Chip became manager of the analytical and technical services laboratories for a Fortune 500 company. Chip also served as a missions committee chair and church elder, as well as helping to pioneer a church plant in Boston’s inner city. Today, Chip and Kathy live in Dallas, Texas. They have two adult children. For the first nine years of his career, Dr. David Pope worked as an accountant and administrator in the public utility industry. For the past 28 years, David has used these skills in ministry as a pastor, missionary, and non-profit executive in five states and three foreign countries. 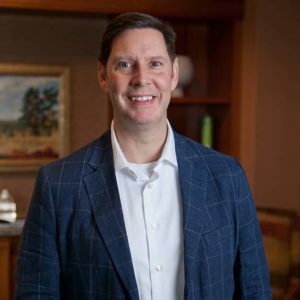 In addition to his vocational ministry service, Dr. Pope has also chaired four non-profit boards including service as the Vice-Chairman of the board for LifeWay Christian Resources in Nashville. 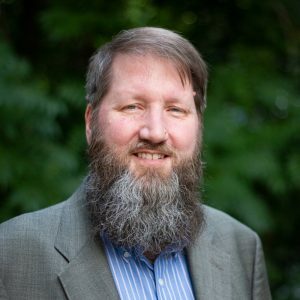 David passed the CPA Exam in 1984 and he brings to every consulting enterprise a love for the local church and a passion for the unreached combined with a conviction for responsible, biblical accountability. Currently, Dr. Pope serves as the Executive Director of the Issachar Initiative and Chief Operating Officer of Finishing the Task. Bob joined DOOR international in June 2017. As a believer raised in a Christian home, Bob continues to use his gifts of administration, teaching and advancement to serve God and his people worldwide. Having served 26 years in Christian education as teacher/administrator and 13 years in Advancement, Bob desires to keep his heart aligned with God’s heart, growing in discipleship and stewardship. Bob finds great joy in experiencing God’s grace through relationships worldwide. After graduation Anthony worked as a full-time campus minister. His passion was seeing the Church unleashed to disciple the most physically and spiritually oppressed on the planet. His path lead to a journey of bringing business under Jesus reign. He owns Eden Capital, chairs City for the Nations, and serves on several other boards. Anthony lives in Lexington, KY with his wife and children. Dale’s life is full of adventure and family. Since 2017 Dale works in the Office of the President at the Museum of the Bible managing many projects in development stage and offering creative vision. 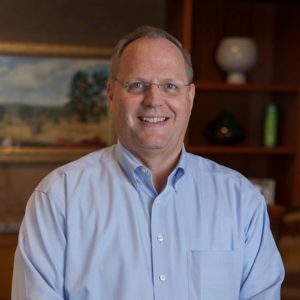 During his career, Dale served in various positions with CURE concluding as President and CEO. Dale is trained as a pastor and has gained wide ranging experience over the years. Dale came to the board of DOOR International in 2017. Marisa has been with DOOR International since March 2018 in the capacity of International Report Coordinator. She grew up on the mission field, watching and learning as her parents fulfilled DOOR’s goal of Deaf reaching other Deaf. God called her to DOOR International in order to use her gifts in communication to help 70 million Deaf people gain the opportunity to know God. She is grateful for the privilege of growing up in a home with full access to the Gospel through sign language and for the chance to have a personal relationship with the Lord from an early age. DOOR’s Deaf leaders and staff worldwide choose to sign “believers’ fellowship” rather than church. 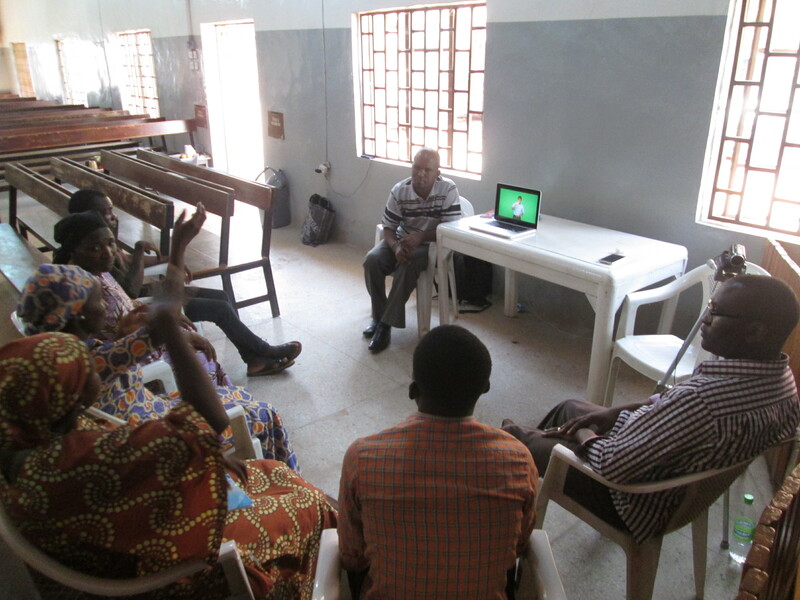 Deaf leaders feel that the term “church” often denotes a dedicated church building with a full-time paid pastor. Using the term “believers’ fellowship” helps them remember the that not all churches have to be modeled after a particular stereotype which can often be ineffective in the Deaf world. 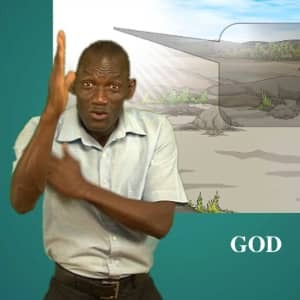 Deaf people connect with God and worship Him very differently than hearing people do. There is one God, one Lord, and one body, but we are diverse. God receives and enjoys worship from hundreds of different cultures and languages all over the world. He rejoices to receive true worship from the hearts of Deaf people as well, and this happens best in the context of an indigenous Deaf believers’ fellowship. 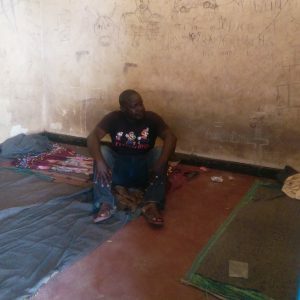 In a Deaf believers’ fellowship, Deaf people create their own Deaf worship music, sometimes using a drum to keep the beat. Hearing music is tones, instruments, voices, and sounds, while Deaf music is motion, rhythm, hands and eyes. Hearing music doesn’t usher the Deaf into God’s presence the way that Deaf music does. Many Deaf people prefer to pray with their eyes open and their heads raised. Closed eyes in the midst of Deaf conversations are quite rude and disrespectful. 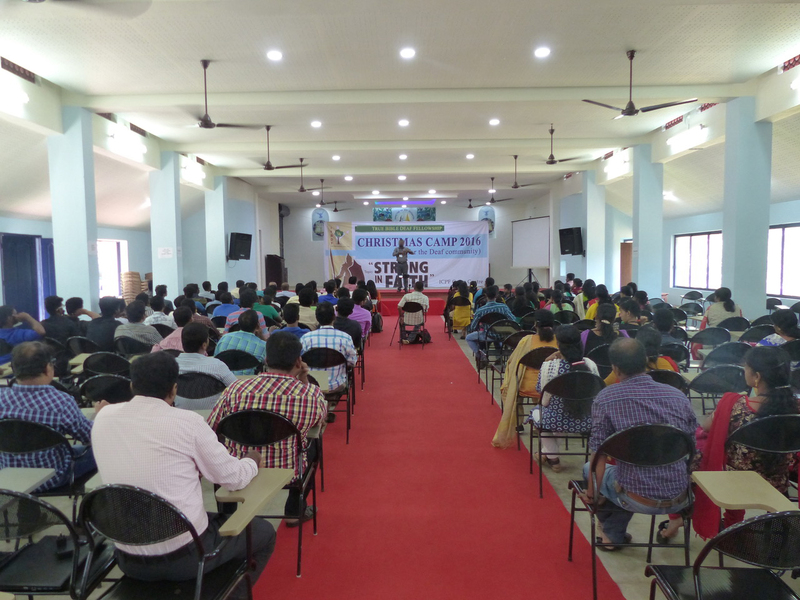 In a Deaf believers’ fellowship, Deaf people can experience true fellowship. They can communicate in sign language, develop friendships, encourage each other, listen to and understand pains and joys, and draw each other closer to God. In a hearing church, despite the very best of intentions, this is usually not practical or possible for Deaf people, simply because of the language barrier between Deaf and hearing members. Deaf people are consummate storytellers. They pass on information, values, and traditions through stories told in precise chronological order. 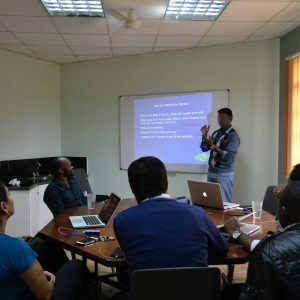 In a Deaf believers’ fellowship, they are free to teach God’s Word in story format as well, rather than thematic teaching involving various Scriptures. The stories are repeated in drama and song, with the goal of everyone in the fellowship learning the story by heart. Deaf people also learn best interactively. In a Deaf believers’ fellowship, they are free to ask questions, seek clarification, discuss meaning, and ponder application together. Most hearing worship services are not set up with such an opportunity for interaction. 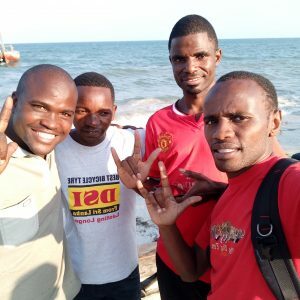 A Deaf believers’ fellowship can focus time, energy, finances, and other resources on specifically reaching their local Deaf community, the Deaf of their country, and the Deaf of the world. 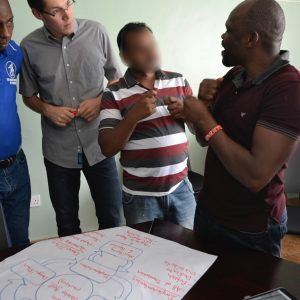 Deaf people will find a Deaf Believers’ fellowship an attractive, exciting, and welcoming place, where they do not have to overcome cultural or linguistic barriers, or watch an interpreter, to understand the message. 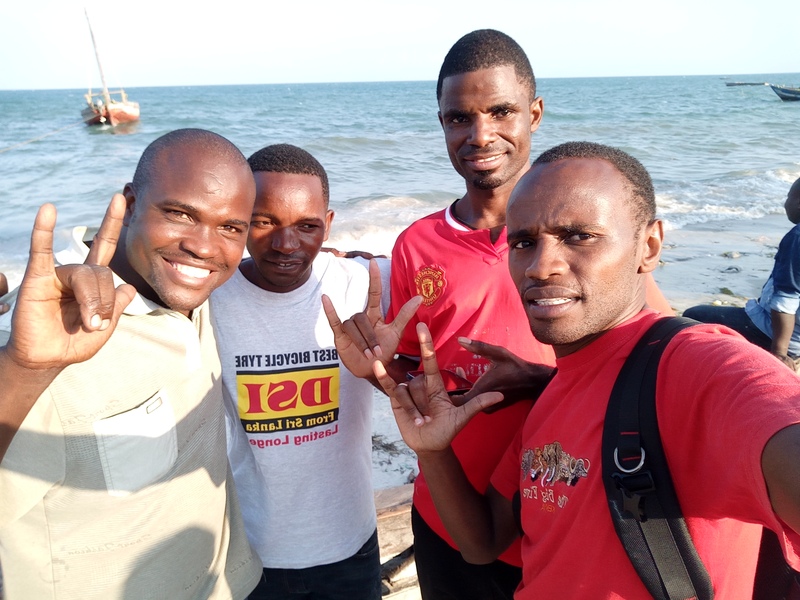 Strong, healthy Deaf believers’ fellowships reproduce and effectively begin to penetrate the Deaf world with the gospel. Every believer is given spiritual gifts. In a hearing church setting, often Deaf people can only be objects of someone else’s ministry. But God has created all of us to be ministers, including the Deaf. In a Deaf believers’ fellowship, each person is free to use their spiritual gifts, talents and passion to serve in the work of the ministry. Deaf people best understand the Gospel when a Deaf believer shares it with them in the local sign language. Furthermore, Deaf people prefer to learn new information in a chronological order. They like to “see the big picture” from beginning to end. 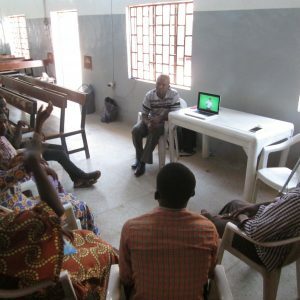 That’s why our Deaf staff chose Chronological Bible Translation as the most culturally appropriate way to communicate God’s Word with Deaf communities. 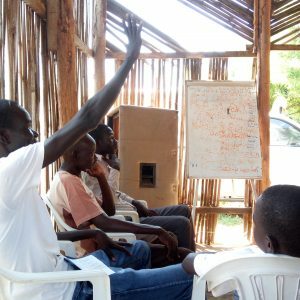 We’ve found CBT to be a very clear, accurate, and natural way to teach unreached Deaf people about God. Because Deaf people can easily understand God’s Word when it is in narrative form, they are able to go and teach it to others. Each Chronological Bible Translation consists of 110 biblical narratives from Genesis to Revelation.  Each narrative is accompanied by an introduction to give context, and a section giving more information about the passage. Deaf believers use the CBT to lead Bible studies, home groups, worship services, leadership training classes, children’s classes, camp programs, and much more. Repeatedly, the Deaf say that they never really understood the Bible until they saw a Chronological Bible Translation. 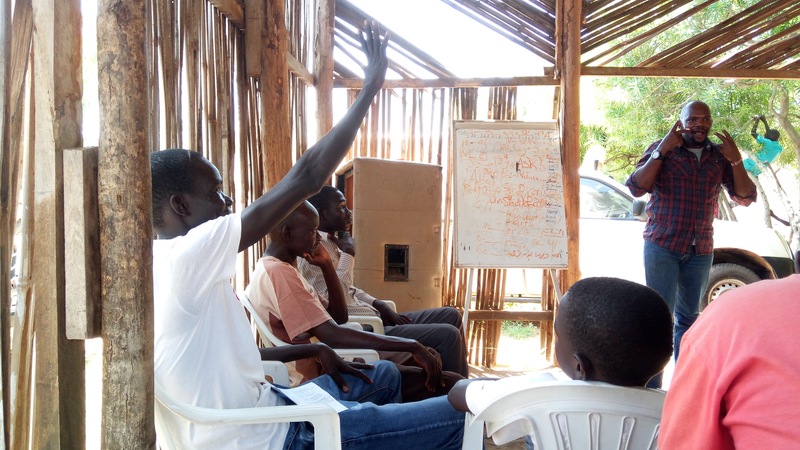 We believe that Deaf believers are the best people to reach unreached Deaf communities. 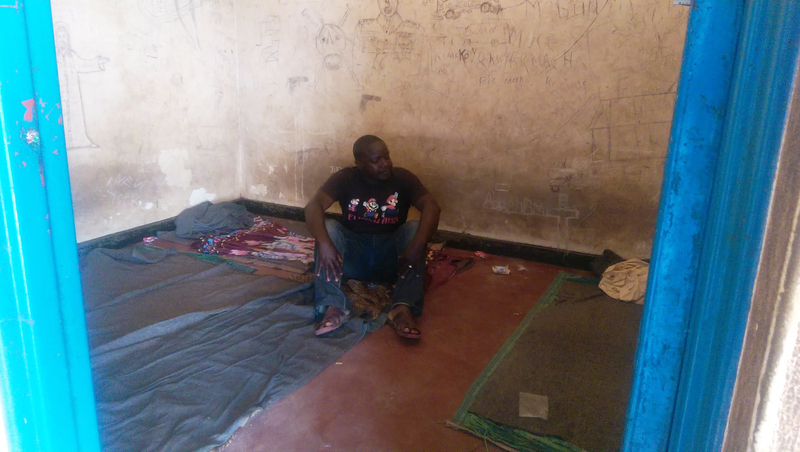 However, due to a lack of resources, Deaf Christians have almost no access to God’s Word. 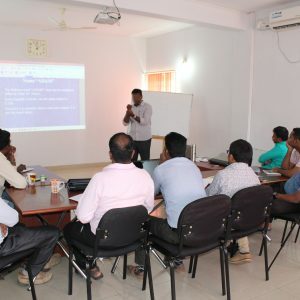 Deaf-friendly training in evangelism, discipleship, church planting, and leadership development is even rarer. DOOR’s 2-by-2 program seeks to remedy this. 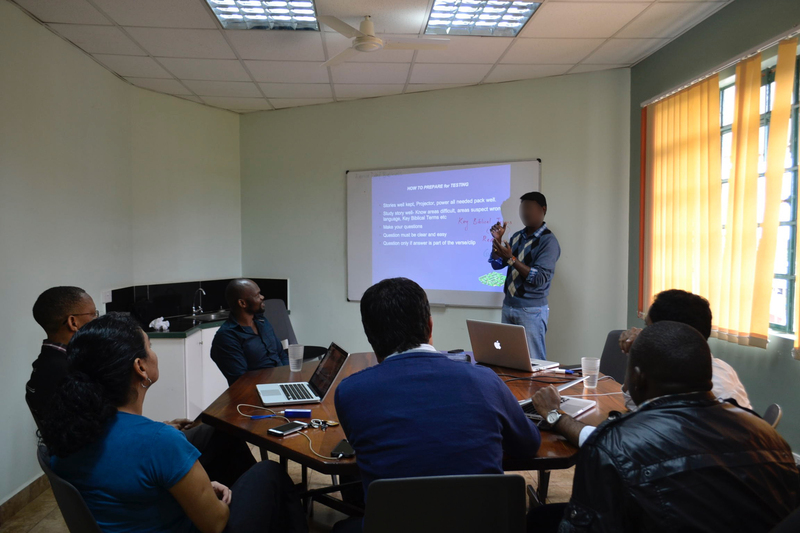 We help recruit and train teams of two Deaf leaders (an evangelist and a teacher), called a 2-by-2 team. 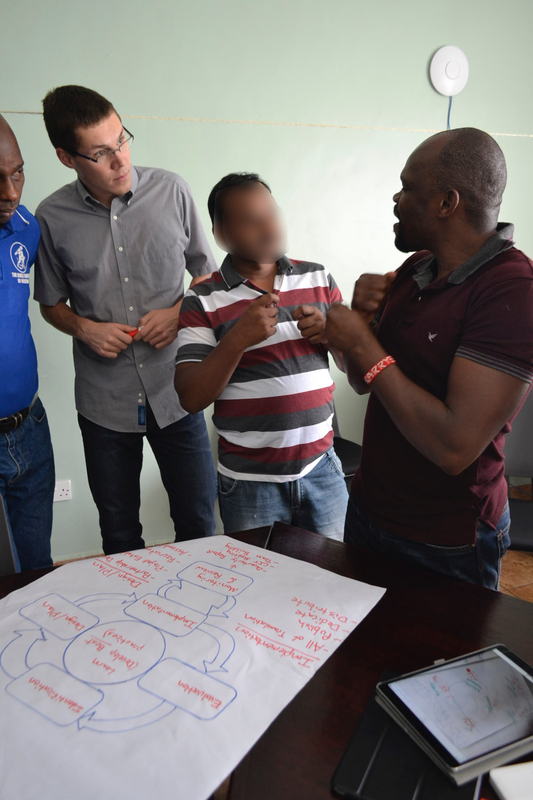 The goal is a model of Deaf-led church planting that is reproducible and sustainable. These local fellowships are not “DOOR churches,” but instead are led and run by local believers. The 2-by-2 teams follow the practice of the Apostle Paul, staying in a given city until fellowships and leaders have been established (and can reproduce themselves), and then moving on to new cities to continue the process. Sharon, his wife of 52 years, and Denny live in Mesa, Arizona where they attend the Phoenix United Reformed Church. They have three sons all born on a different continent. Mike, their oldest, was born in the state of Michigan while Denny was attending Calvin College and Seminary. Kendall, their middle son, was born in Nigeria while Denny and Sharon were serving there as interns. Eric, their youngest, was born in Taiwan where they served as missionaries for 7 years. All are married, and Denny and Sharon have 9 grandchildren. After serving in Taiwan, Denny became the Director of Asian Ministries for what is now known as Bible League International. He was then asked to serve there as the Director of Development and later named as President. For 32 years he worked to get Scriptures to people all around the world who simply had no other way of ever hearing the Good News. Denny’s passion is to get God’s Word to every people group on earth. After retirement from the Bible League, he was invited to join the Board of DOOR Int’l. 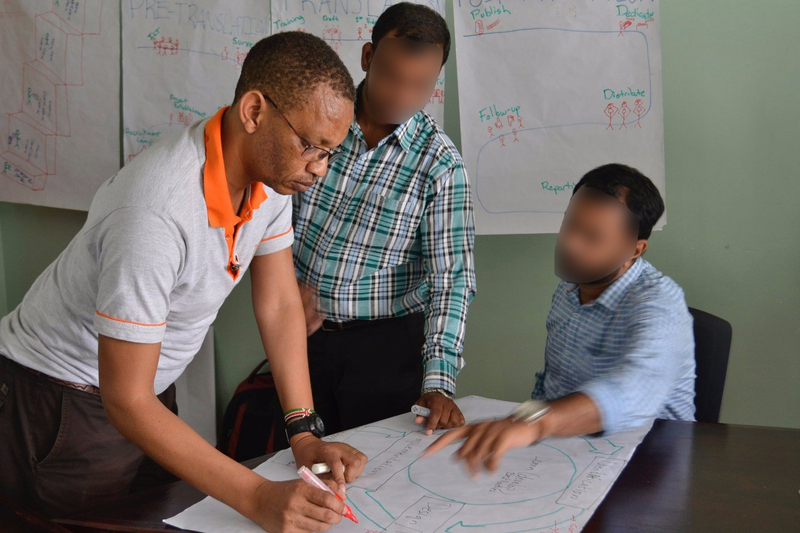 Since The Deaf is one of the largest remaining unreached people groups, he happily consented to becoming a board member. Doug’s current role is that of a ‘missional catalyst’ to make Great Commission living a normal and ‘doable’ experience for anyone at Crossroads Fellowship. He has been married to Kathy Sue, “the love of his life”, since 1980. They are blessed with two children; Benjamin Gamble (married to Jennifer) who has two daughters Nori and Annie, and reside in California. Their daughter Sarah Albrecht is married to Michael Albrecht, and lives near Doug and his wife in Raleigh NC. Margie’s love and interest for the Deaf began in elementary school where she had deaf kids mainstreamed into her classes. That led her to a degree in deaf education at Michigan State and on to teaching the deaf at both the elementary and high school levels. Margie Johnson lives in West Michigan with her husband, 5 awesome kids and 1 perfect grandson! Sid is President and CEO of Wolverine Gas and Oil Corporation in Grand Rapids, Michigan. Wolverine is an independent oil and gas exploration company with production in the continental United States. Sid began working in the oil fields of Michigan at the age of 16. 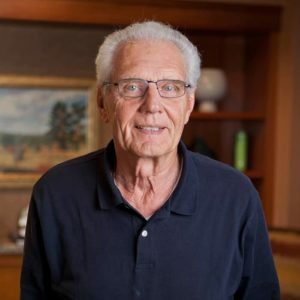 Over the years, he has worked in almost every aspect of the business – from pumping wells to managing field operations for Wolverine Gas and Oil. While working at Wolverine he has started, sold and invested in a number of other companies related to the oil and gas business. Sid is involved with his local church and has also served on the board of several non-profits. 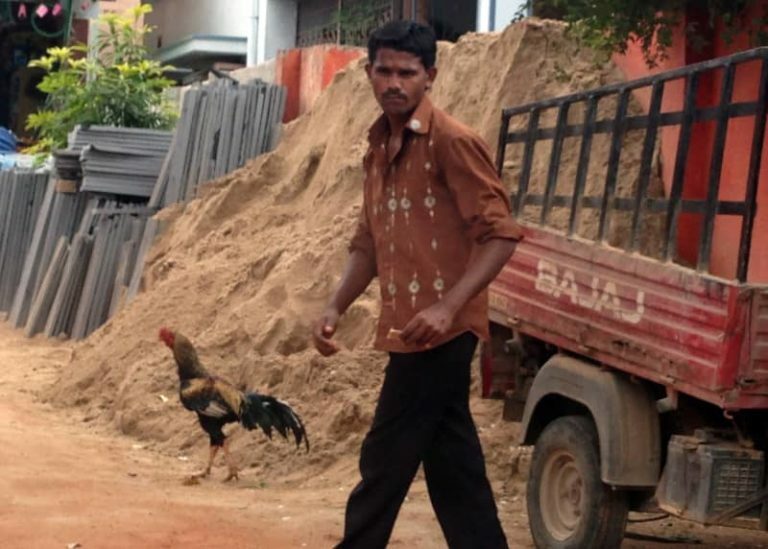 He and his wife Sharin have been married for 27 years and have 6 children. 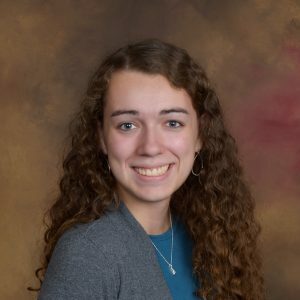 Katey joined DOOR International in April 2016 and serves as Communications Coordinator. Her desire is to be a voice for the voiceless, and to see the God of justice right all wrongs. 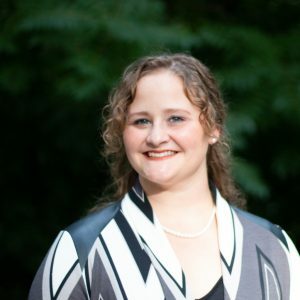 Prior to joining DOOR, Katey served as Staff Writer and Social Media Coordinator for Mission Network News. This experience first introduced her to DOOR, and the global Deaf community’s vast spiritual needs. Katey also previously held a Marketing/PR position at RESORT + RECREATION Magazine. Katey is married to Jeff and they have eight “fur babies” – four cats and four pygmy goats. Katey and Jeff enjoy laughing at them, going fishing together, and serving the Lord at Nunica Bible Church. Jojo hails from southern India and has been with DOOR International since January 2000. 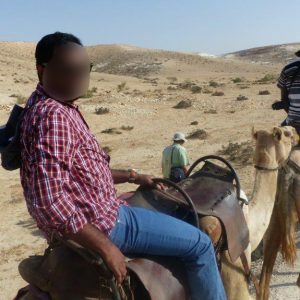 He began serving as DOOR’s Vice President of Ministry in 2010, and has been a Translation Consultant with a specialty in sign language since 2008. Jojo’s deaf brother, Jacob, provided him with his first exposure to the Deaf community. 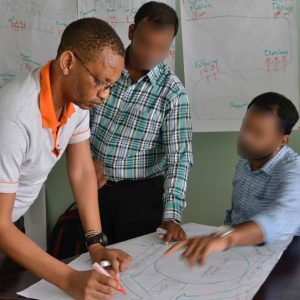 The Deaf have become Jojo’s extended family as he works alongside them in Africa, Asia, the U.S., and Eurasia. Jojo and his wife (Wendy) have been blessed to make a ‘home’ in India, Philippines, Kenya, and now West Michigan. Their hearts’ desire is to see Jesus understood on the hands and in the hearts of Deaf people worldwide. When not working, Jojo can be found enjoying a competitive game of cricket or English football (soccer). He also serves as a judge to the many dance competitions that the Ninan’s three daughters produce in their living room! Write your question here and we'll do our best to respond.